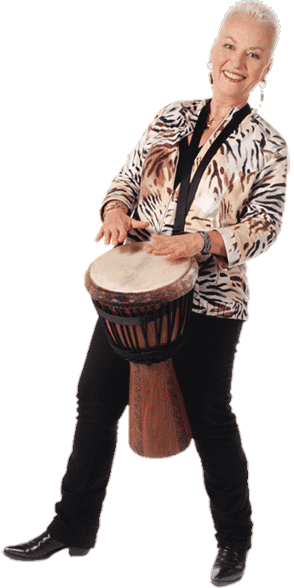 Barbara offers individual private lessons – in person or Skype – tailored to meet the specific needs of each student. For a brief telephone or Skype interview with Barbara at no charge, please fill out the Registration Form. The purpose of this interview is to assess how to help you achieve your drumming and musical goals. Lessons are a minimum of 60-minutes in length. Additional time can be added in 30-minute increments. Students will need to have the necessary drumming equipment and a recording device. Lessons Online are a unique opportunity to study with Barbara Borden from anywhere in the world. Lessons are taught on Skype in real time. Online students will need a computer with webcam, microphone and speakers and the proper high-speed internet streaming capabilities. Lessons In Person are available at Barbara’s studio in Marin County, CA, by appointment.